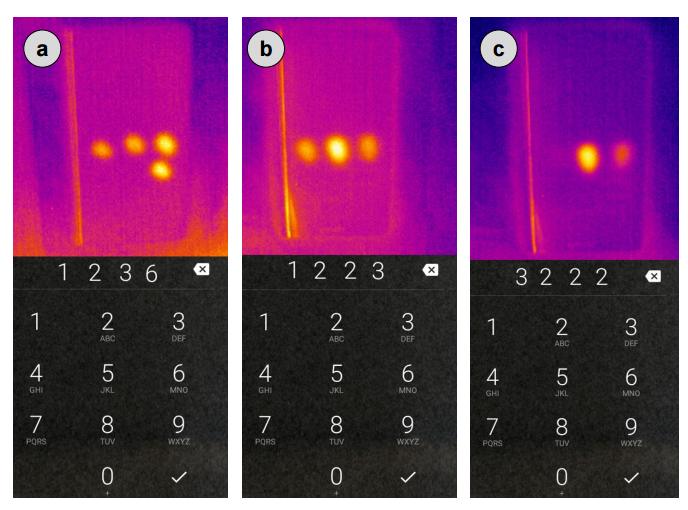 The report further revealed that if the thermal image is collected within 15 seconds of a PIN being entered, the technique is accurate almost 90% of the time. At 30 seconds, this accuracy decreased slightly to 80%. At 45 seconds or more, the accuracy dropped to 35% and below. This entry was posted in Computer, Hardware, Murmuring, Security, Telephone and tagged attack, code, device, digit, mobile, password, phone, pin, security, smartphone, thermal on March 11, 2017 by Gea-Suan Lin.